Welcome to AGU Connect, the AGU online platform where you can collaborate, network, and communicate with others about important and timely issues in Earth and space science and beyond. We are so glad to have you. Let’s get started. 1. Sign in. If you haven’t already done so, sign in by using the upper right hand navigation button. Having trouble signing in? 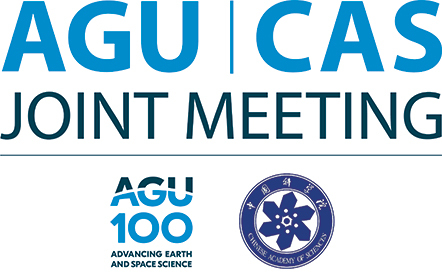 Contact connect@agu.org. 2. Tell us about yourself. 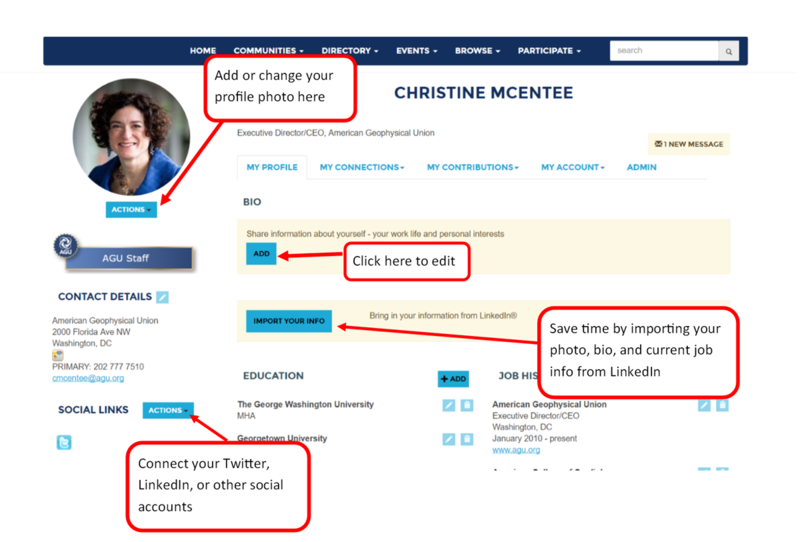 Fill out your profile manually or by importing your information via LinkedIn. The more information you share about yourself, the easier it will be for like-minded peers to connect with you. 3. Customize your profile settings. While on your profile page, click on the tab for MY ACCOUNT. 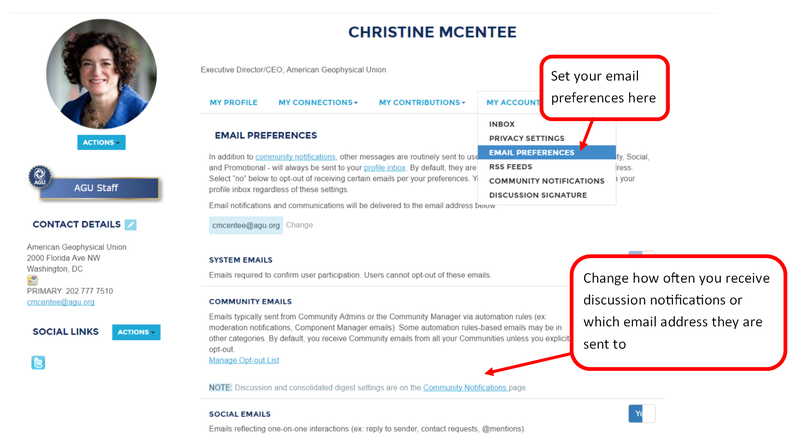 This is where you can set up* how you want to receive emails from AGU Connect, how much of your profile you want visible to others in the community, how you want your signature to appear under your discussion posts, and more. If you have any questions about what a setting means, please email the Community Manager at connect@agu.org for help. *Email Deliverability Options: Your frequency can be in the form of a daily digest―a single email each day featuring all the discussions in your community, or real time alerts. Your profile will load, and a series of dropdowns should appear. Select MY ACCOUNT and then PRIVACY SETTINGS. At the top you can choose whether or not you wish to appear in the member directory and community rosters. For AGU members, this preference is tied to your AGU member preferences. 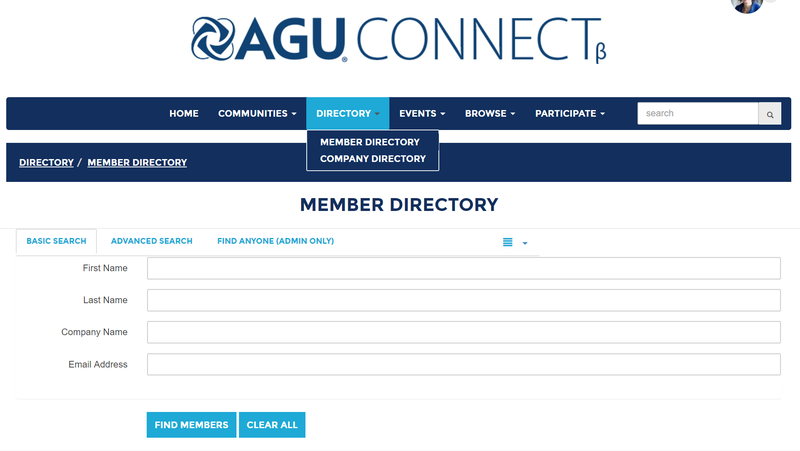 However, if you wish to appear in the AGU member directory, but not in the AGU Connect directory, you can make that change. To disable your account, go to your profile. Then in the dropdown under MY ACCOUNT, select DISABLE MY ACCOUNT. You will then be asked to confirm this change. 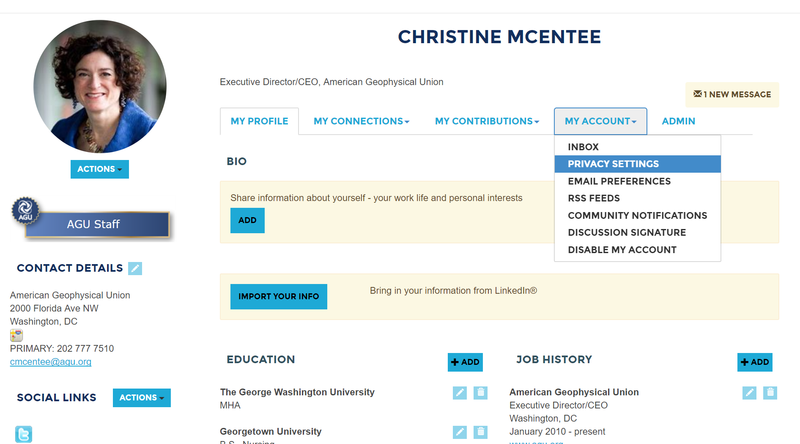 By disabling your account you will no longer be able to view AGU Connect, send or receive messages, and your account/profile information will not be visible to users. However, please note any content you have posted will remain visible in the communities. 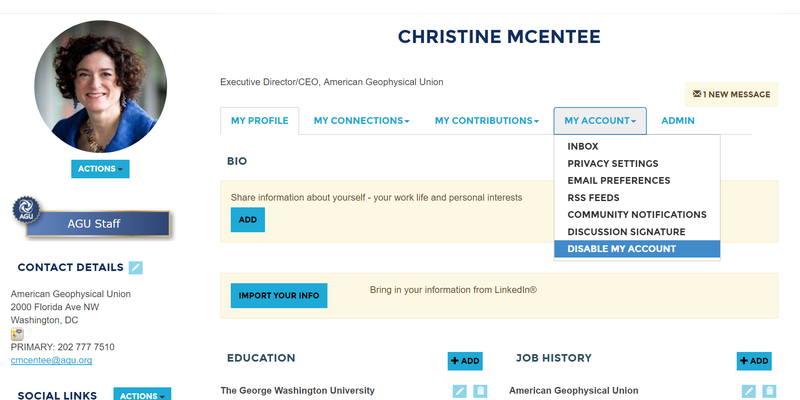 To reactivate your account, contact connect@agu.org. 4. Build your contact list. Select Directory from the top navigation bar. Click MEMBER DIRECTORY to find friends and colleagues in the community. Creating a contact list helps identify relationships and build searchable networks. The Advanced Search option offers further parameters for making connections. Let us know you're here. Say hello and share what you are hoping to gain by participating. Ask questions and share ideas. What do you want to know more about? Is there a hot topic you want to discuss? How about a lesson you've learned that might help your fellow members? Start a discussion thread by posing questions about anything from professional development to data sets, methods, and software, to everyday problems, or sharing your expertise on a topic. Someone in the community will know the answer to your question or share your interest. Give feedback. Use your knowledge and experience to answer other community members’ questions. Just click Reply to Discussion to the right of any discussion post, or comment underneath a library entry. ​Spread knowledge. ​​Check out our useful Resources, such as the community Library, to see what others have uploaded. You can also share resources others might find useful by uploading your own files. Build networks. Planning on attending Fall Meeting or another conference? Meet other attendees before the meeting to coordinate meetups or transportation. During the meeting, discuss talks and make suggestions about cool places to visit. And after meeting, connect with the new colleagues you may have met.